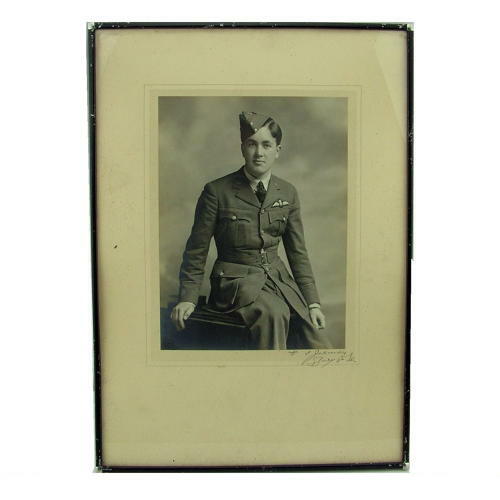 Studio portrait of a young RAF officer in service dress with his pilot wing clearly shown. Mounted, framed and glazed. Overall size approximately 25.5 x 36cm. The image size is approximately 14.5 x 19.5cm. Good clear image. The mount is indistinctly signed in pencil. The frame moulding is black painted steel with 'silvered' corners. Some foxing/soiling of the mount and frame. Great original display piece. Stock code P6512.